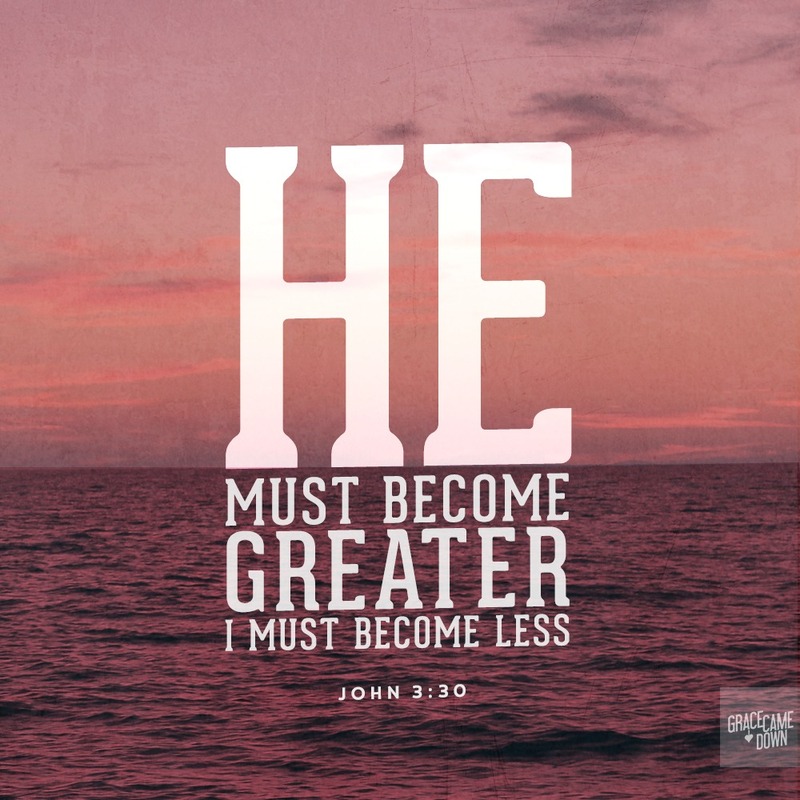 Scripture: John 3:  He must become greater; I must become less. Observation: I was in church this morning thinking how wonderful it would be to be noticed for the things I’ve done. I imagine the Pastor calling me up and having me tell others of the different ways I serve to motivate them to serve. How egotistical is that? I’m suppose to be praising and lifting up the name of God and I’m daydreaming about exalting myself. That is the way I live my life wanting recognition instead of recognizing my Lord and Savior to others. Application: I need to become less and God needs to become greater in my life and it needs to be obvious to those around me. If anything good should come from me God needs to get the credit. Prayer: Dear Lord may I lift up your Holy Name and glorify you. Humble this servant of yours and may I serve you with all my heart.